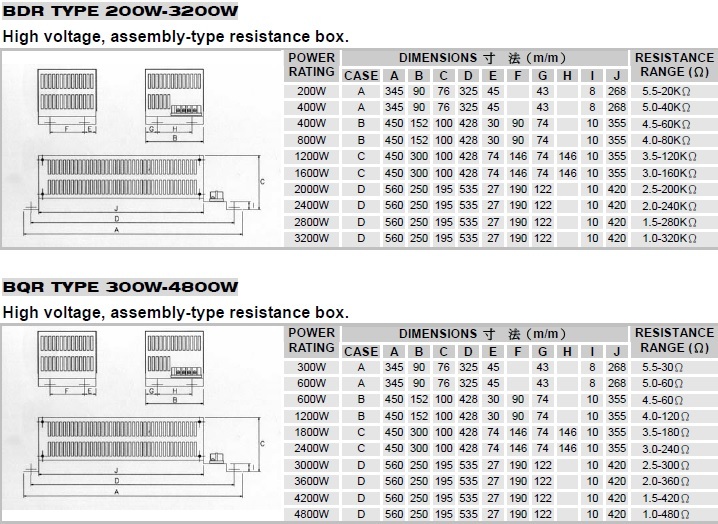 An assembly-type power resistor enclosure contains DR series of and/or DQ series resistors. The box offers excellent protection and safety, it not only provides high power load capability and durability, excellent heat dissipation, and a low temperature coefficient that is directly proportional, but also accommodates a flexible range of assembly options for convenient utilization and installation. Suitable for educational modeling applications, load testing, industrial machinery, electric power distribution, instruments and automation control installations, etc. For custom specifications, please contact us to discuss the details. Duta Niaga Adalah sebuah perusahaan yang Menjual berbagai Produk component Industrial dengan berbagai merk ternama,termurah dan terlengkap, Untuk Info lebih lanjut kunjungi halaman web kami agar lebih menarik.